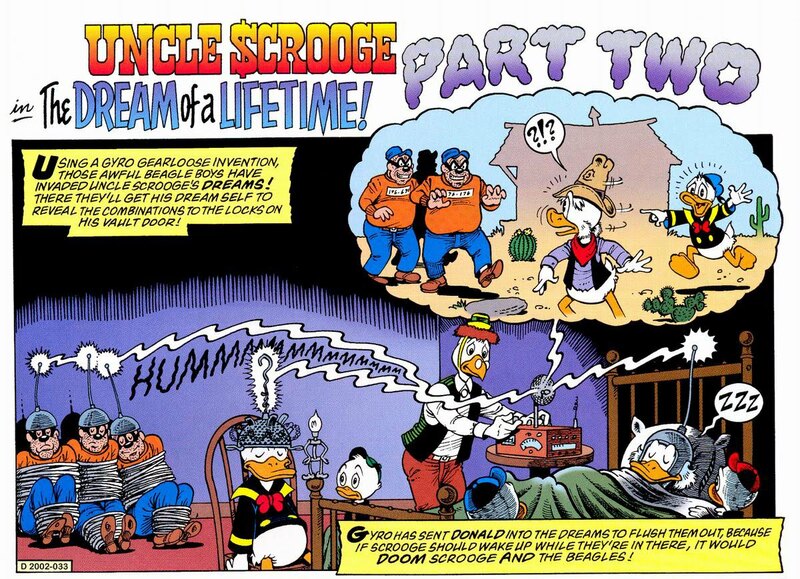 Quite a few rumors have been circulating about Christopher Nolan ripping off the Inception plot from a certain Donald Duck comic. Let's just put an end to that issue right here. 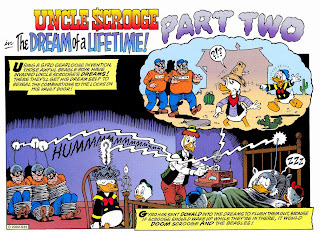 This is a panel from the Donald Duck comic book entitled Dream of a Lifetime. And I assume everybody's watched Inception already. So is it really a rip-off? Or to use the more technical term, did Inception plagiarize Dream of a Lifetime? Of course not. Anyone who knows the law on Intellectual Property knows this. Read the comic in its entirety here. Then use your intelligence, the way Christopher Nolan did, then judge for yourself. P.S. : Hooray for free Disney comics online!